Bermuda does not have USA-style public holidays where the shops, restaurants and essential services to visitors are open most hours daily and close only twice a year. Instead, the following Public Holidays apply with local services reducing on those days as shown below. In accordance with the (Bermuda) Public Holidays Act 1947 (as amended). Bermuda Day was originally Victoria Day, Empire Day, Commonwealth Day and Heritage Day. Emancipation Day is so-called because it commemorates the day when black Bermudians were emancipated from slavery. It is the first day of the two-day annual Cup Match-inspired Public Holiday. Somer's Day is the second day of the latter. The two-day annual Cup Match holiday is always observed on the Thursday and Friday before the first Monday in August. The following Monday will be observed as a public holiday when a public holiday with a fixed date falls on a Saturday or Sunday. Government Offices including Post Offices and quangos are closed on every public holiday as shown below, plus Saturday and Sunday throughout the year, but are otherwise open for business each day from Monday through Friday, 8:45 a.m. to 5:00 p.m.
Banks, businesses, shops, stores, shops, etc, except those with a holiday trading license, able and willing to pay their staff double overtime and thinking they might benefit from arriving cruise ships, etc.. It is entirely up to each entity whether or not they open that day and if they do their staff may have the option of whether or not they wish to work. Garbage removal services, operated by the government or city or town authority. The local newspaper The Royal Gazette does not publish a print version and may restrict or not publish updated details on public holidays. Most local restaurants (not at hotels) are closed. Public Transport (buses and ferries) timetables are affected on Public Holidays. They normally follow reduced (less frequent) Sunday schedules. Many taxis, all privately owned, not part of public transport, do not operate. Tour operators may not operate or may have reduced services. However, in the cruise ship season, when pre-booked in advance by the cruise lines and prepaid by or pre-charged to passengers, cruise line excursions may operate. Traditionally holiday trading licence owners have been allowed to open between 1 p.m. and 6 p.m. only. Section eight of Bermuda's Public Holiday Act prohibits selling, exposing or offering for sale to the public any goods or merchandise, the opening of any shop and the admittance of any customer into a shop on a public holiday without a holiday trading licence. Restaurants owned by hotels will be open. So will a few small convenience stores which are allowed to have more leeway than larger food stores. Many locals and visitors celebrate the night before - New Year's Eve - at one of the local hotels or restaurants. New Year's Day, the day chosen by Pope Gregory XIII in 1582 when he established the 365 day calendar, marked the start of the year as the time when the Earth is closest to the Sun and established the Gregorian Calendar uses today - has festive events island wide. Her Majesty the Queen's local New Year's Honours, often mentioned a day or two earlier by the Bermuda Government of the day, go into effect from this day. For most Bermudians, Good Friday traditions mean church, flying Bermuda made kites, and eating codfish cakes - see below - and English style hot cross buns - also shown below. Flying kites - although not on Good Friday - originated in Indonesia 3,000 years ago. There, fishermen used leaf kites to suspend fishing lines out to sea. Indonesian children still skillfully fly bits of waste paper on strings. Kite-flying drifted up through Asia and arrived in Europe early in the 16th century. Much later, it reached Bermuda. British Army troops used them to plan telegraph poles in Bermuda, the Caribbean and other colonial outposts and they were later used to good effect by the British Army to plan telegraph poles in South Africa for the Boer Wars. In Britain, the years 1880 to 1930 were considered the golden age of British kiting. In the 1880's they became even more useful for UK-wide military reconnaissance and meteorology. Huge flying frames carrying weighty cameras were a common sight over trenches in Europe in the First World War. In California, camera kites were used to photograph the devastation caused by the 1906 San Francisco earthquake. Right: A uniquely made Bermuda kite. Elsewhere overseas, in India, the kite fighting season can be dangerous. Hundreds of thousands of people fly their fighting kites from roof tops. They coat their kite strings with glass and try to cut their opponents' kite strings. In Britain today, the High Force Kite Festival occurs in August. Kites require Civil Aviation Authority to fly at 1,500 feet or higher. Clearly then, they are not just toys for children. Some are massive, three-dimensional things. There is a special Bermuda civilian religious significance to kite flying. It started on Good Friday when a local teacher with a British Army connection had difficulty explaining Christ's Ascension to Heaven to his Sunday School class. So he launched a kite with a likeness of Christ. 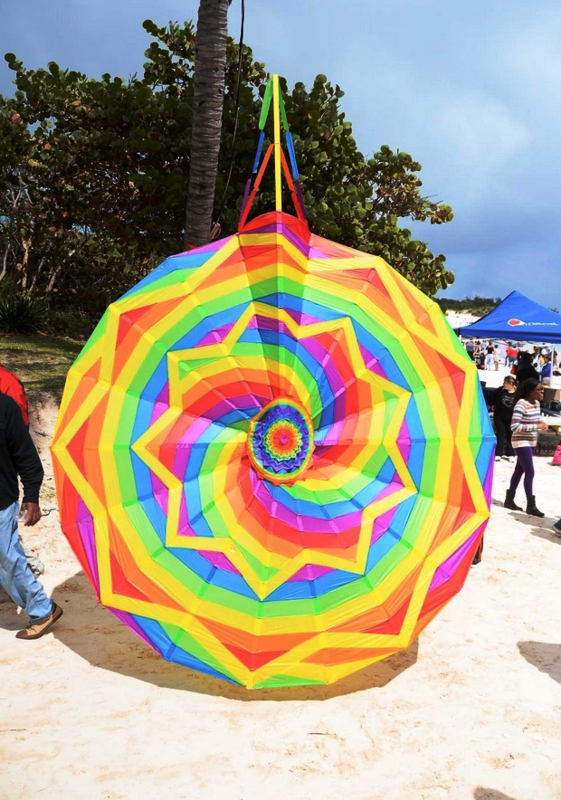 A traditional Bermuda made kite, from different colors of tissue paper, is still in the shape of a cross. Originally, kites were not flown until after 3 pm. Now, they stay up all day. Only if it rains do they come down. 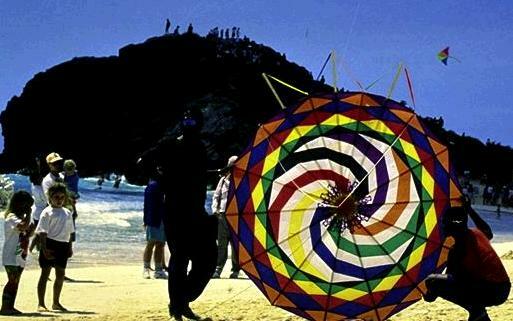 Bermuda kites have long cloth tails and are in different colors of paper tissue, wood, metal and string. Some are huge, in exquisite patterns, requiring several men to get aloft. Some are deliberately made to emit a humming or buzzing sound, with a hummer made from glued paper, which spoils their spiritual serenity. The hummer is always made with purple tissue paper because it is said to be louder. Another variation of the Bermuda kite is the traditional Somerset brown paper kite. It is made of cross sticks with a hummer behind the head stick. Good Friday Kite flying at Horseshoe Bay often includes a non denominational religious service; live musical entertainment; children's games; kite competition and judging; locals versus tourists tug of war; live entertainment; Warwick Gombey Dancers. Another legend associated with the Easter holiday - although Easter Sunday itself is not a public holiday - is that of the passion flower, of which there is a unique Bermuda species (note its special coloring, so different from many other varieties). A climbing vine insisting on a sheltered southern location and a great deal of care, it has five sepals or five identical petals. Spanish missionaries who first discovered the flower in South America stated the petals represented the disciples without Peter and Judas. The double row of colored filaments, known as the corona or crown, appear to show to some the halo around the head of Christ and to others the crown of thorns. The violet stamens and other parts of the flower show the wounds and nails Christ endured. The tendrils resemble the whips used to scourge Him and more areas of the flower recall the hands of the soldiers. 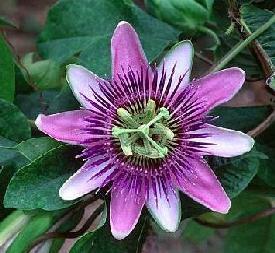 Bermuda Passion flower photo below by author Keith A. Forbes. While these by themselves are not uniquely Bermudian, their development as a uniquely Bermudian dish, eaten with (preferably local) bananas is worthy of special note. The dish was once a Good Friday dish and Lenten dish. It was a major local factor in the former Christian (mostly Roman Catholic on Fridays but also Anglican on Good Friday) avoidance of meat. Lent has its moment of deepest anguish on Good Friday and ends with its happiest time on Easter Sunday, representing the Resurrection. Nowadays, a Bermuda codfish breakfast is always a tradition on both Good Friday and Easter Sunday, but is not confined to those dates. Some restaurants have the dish every week. In Bermuda, when made with care from imported salted codfish from Canada and given special local treatment, the dish is absolutely delicious! But there is a lot of work involved. 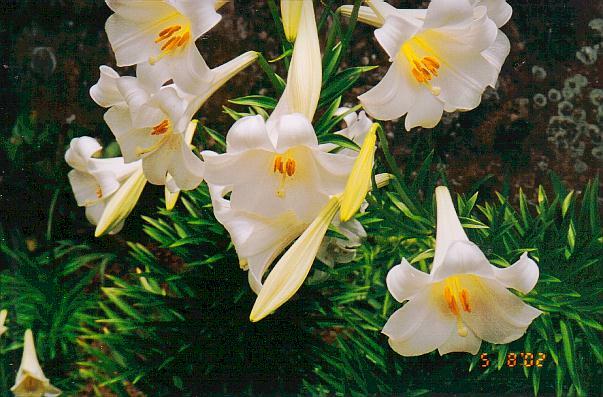 Many Bermudians and others associate Easter lilies with Bermuda, and at one time the unique Bermuda variety were world famous. It is not generally known they did not come to Bermuda until the 1870s and then by accident instead of design. A ship with a supply of bulbs limped in for emergency repairs and in the process, the bulbs got here too. The Bermuda grown variety usually open at Easter. But often, for many blossom and bloom before Easter. The he live flower lasts about 10 days. Some stems may have as many as 6 separate flowers. A local tradition is that a finest selection is always sent to Her Majesty Queen Elizabeth II. Many Bermudians and other residents celebrate the latter first with this service - of which there are several - at various locations throughout Bermuda. But one of the most notable is at Horseshoe Bay at dawn. Those who don't feel like getting up so early but are church-goers will find that their traditional Easter Sunday church service is enhanced by special flower arrangements in the church and more festive than usual choir music. Then, to make a family day more complete, there are Easter Egg hunts for children and more kite flying. See 2018 December 22 note below. Bermuda Day is widely considered in Bermuda as the first unofficial the first day of summer. Bermuda Day is the culminating event of annual Heritage Month (Each year has a theme, in 2018 it is "What We Share" in customs, traditions, environment and more). Participants usually include marching bands, dancers, Bermuda Gombeys, Bermuda Islanders pipe and drum band, politicians with speeches and restaurant stands offering tasty, hot and cold selections of specialty Bermudian dishes. Locals line the streets of the city of Hamilton to enjoy a vibrant celebration beginning with a half-marathon derby followed by a colorful parade winding through Hamilton full of music, culture, and patriotic pride. 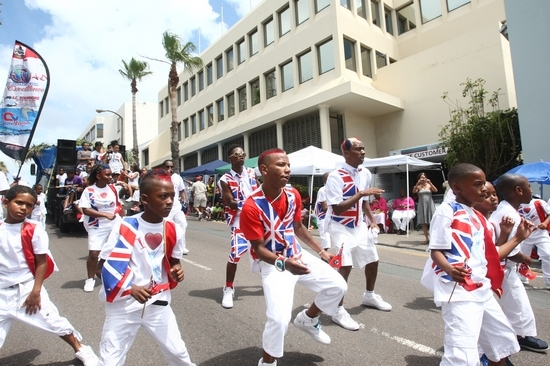 The first Bermuda Day Parade was held in 1979 and remains a steadfast celebration featuring dance groups, bands, majorettes, decorated floats, and Gombey troupes. Traditional floats harken back to the Easter Parade of yesteryear (no longer celebrated) using natural materials, while new categories have been introduced to highlight modern art and the creative ingenuity of Bermudian float-builders. The competition between floats is fierce, as they compete for prizes in a variety of categories. Hundreds of people dance in the streets as the enticing Gombey rhythm carries them forward. 2018. December 22. Bermuda’s traditional May 24 holiday has been moved — to May 24 in 2019. John Rankin, the Governor, was asked by the Government to announce that the public holiday will not be on Friday, May 31 in 2019 but will instead be marked a week earlier. It means the celebrations will take place on the traditional Bermuda Day date despite legislation introduced a year ago that suggested it would never fall on that date again. A government spokeswoman said yesterday the change came after the Bermuda Tourism Authority had asked to align next year’s holiday with the United States Memorial Day weekend. The Progressive Labour Party government tabled amendments to the Public Holidays Act 1947 in November 2017 that changed the fixed date of May 24 to the last Friday of the month. Andrew Simons, then a One Bermuda Alliance senator, pointed out during a debate on the switch that when May 24 did land on a Friday, the final Friday of the month, and in turn the holiday, would be May 31. Mr Simons suggested altering the wording from “last” to “fourth” Friday but the plea was ignored. A list of public holidays on the Government’s website yesterday maintained that Bermuda Day, seen as the unofficial start to the summer, would be marked on May 31 in 2019. However, a proclamation by Mr Rankin, published on the Official Gazette this week, stated: “I do hereby declare that Friday, the thirty-first day of May 2019 shall not be kept as the Bermuda Day public holiday and that Friday, the twenty-fourth day of May 2019 shall be kept as the Bermuda Day public holiday in lieu.” Government House said yesterday: “The Governor was pleased to make this proclamation at the request of the Government given that in 2019, May 24 is in fact on a Friday.” The Government spokeswoman said: “This alteration to the public holidays for the coming year has been made in consultation with the Bermuda Tourism Authority.” She provided a comment from the BTA, which said: “Aligning the observance of Bermuda Day with the US Memorial Day weekend will make it easier for our visitors to join us out here and immerse themselves in this unique celebration of our cultures.” The Bermuda Day holiday originated from a celebration of Queen Victoria’s birthday. It was renamed Bermuda Day in 1979, based on recommendations by the Pitt Report into civil unrest in the 1970s, but the date of the holiday was unchanged. Zane DeSilva, when he was minister of social development and sport, said last year the amendment meant the holiday would be celebrated over a long weekend rather than sometimes falling on a weekday. He believed then it would allow for better planning and added: “There has always been a complaint that the absentee rate for schoolchildren and employees is higher when the holiday is celebrated during the week. 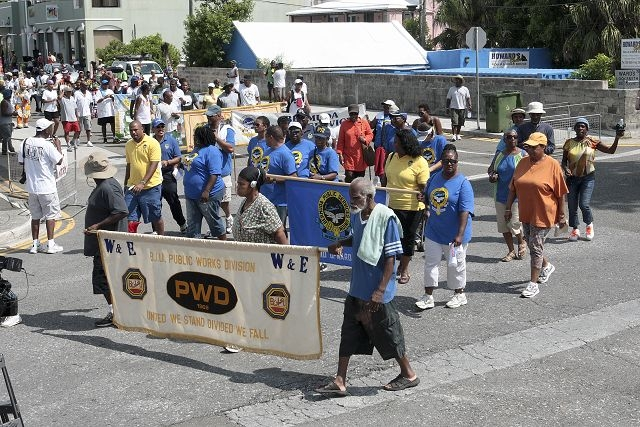 We also feel that with this change there can be more planning with regard to the parade.” The amendment took effect before this year’s Bermuda Day celebrations, which were held on May 25. Government was asked for comment yesterday but none was received by press time. 2017. December 7. The Public Holidays Amendment Act 2017 changed the Bermuda Day holiday from the fixed date of May 24 to the last Friday of the month. 2017. November 4. Bermuda Day is to be tied to a fixed date. The holiday — seen as the unofficial start to summer — will now be held on the last Friday in May rather than May 24. Zane DeSilva, the Minister of Social Development and Sport, said the change would mean the holiday would be celebrated over a long weekend rather than sometimes falling on a weekday. Mr DeSilva told The Royal Gazette: “This will enable people to plan a little better. There has always been a complaint that the absentee rate for schoolchildren and employees is higher when the holiday is celebrated during the week. We also feel that with this change there can be more planning with regard to the parade.” The holiday goes back to 1902, when Empire Day was marked on Queen Victoria’s birthday. It later became Commonwealth Day. It was renamed Bermuda Day in 1979, based on recommendations in the report by Lord Pitt in the wake of civil unrest in the 1970s. The celebration of island heritage includes a massive parade through the streets of Hamilton. Chamber of Commerce Award for Best Corporate Float — Johns Hopkins Medicine International. This day began in Britain in 1902 as the celebration of the birthday of Queen Empress Victoria. The Earl of Meath inaugurated it as the day on which young people would be trained in their British Empire citizenship. He got the idea from a newspaper clipping in Hamilton, Ontario, which noted a patriotic parade for children organized by Mrs. Reginald Fessenden. It began in Bermuda in 1909, from the town of St. George to Somerset. Lord Meath was successful in Britain in establishing what became known as Empire Day on May 24. Then it became Commonwealth Day, but in Bermuda, what became known as Bermuda Day replaced it. It was when Bermuda was experiencing bloody civil unrest in the 1970s. Lord Pitt, a black member of the Greater London Council who was sent out to make recommendations after the riots, suggested it as a way to bring Bermudians of different races together in harmony. It includes what used to be called the Bermuda Day Half Marathon Derby, now renamed the Appleby (local lawyers who have sponsored the race since 1995) Half Marathon Derby, raced from Somerset to Hamilton, 13 miles by road, over hills and dales. Bermuda's racing legend "Sir" Stanley Burgess, who died in 1984, participated for over 50 years, beginning in 1921 when he was 20. He won it ten times. His marathon preparation began with a bath in port wine, honey, beet tops and rum. He rubbed his legs with tincture of myrrh, turtle oil, oil of wintergreen with hazel, and old rum. His final race was in 1983, when he was 84. He was awarded the Queen's Certificate and Badge of Honor in 1971. There is also a cycle race. Scores of cyclists set off from Somerset finishing at about 9.30am. Bermuda Day is also when Bermuda Fitted Dinghy Racing begins its annual season. Dinghies are 14 feet long, with 40 foot masts and more sail than any other vessel of similar length. The crew improvise for survival and seamanship. They jibe from port to starboard for prevailing winds, try to keep upright and can take on gallons of water. To reduce weight and keep afloat, they jump or get pushed off. With right conditions and a good helmsman, they achieve high speeds. But they often they sink or are dismasted before the finishing line. Always entertaining and sometimes hilarious. Monday, June 18. Bermuda Public Holiday, National Heroes Day. Honors local heroes and heroines, pioneering men and women who were committed to selfless acts of public service and whose lives were spent devoted to improving the circumstances of our people. They have included Gladys Carlyon de Courcy Morrell, Sir Edward Trenton Richards, Dame Lois Browne-Evans, Dr Edgar Fitzgerald Gordon, Dr Pauulu Kamarakafego, Sir Henry James Tucker, Mary Prince and the latest to date Sir John Swan in 2016. 2018. June 15. The Bermuda Government has spent $125,000 sponsoring BHW Limited for Bermuda Heroes Weekend this year. Tourism minister Jamahl Simmons told the House of Assembly that the assistance would bring significant yields from “the world’s fastest growing carnival”. Mr Simmons told MPs: “This dynamic new partnership will ensure that Heroes Weekend Carnival is sustained long into the future and will be cemented into Bermuda’s social and cultural calendar. Under the agreement, the Government will provide the human and financial resources to ensure a solid foundation that underpins the event’s operations and assists in addressing old debts. All the while the leadership of BHW Ltd continues to execute their unprecedented and hugely successful promotional, logistic and organisational operation.” Mr Simmons said that visitor numbers showed the island attracting “younger and more diverse visitors to our shores”. 2018. April 20. The Bermuda Heroes Weekend is fast approaching, and organizers are looking to put together the best Bermuda Carnival ever. Three bands are signed on to take part in the Parade of Bands on June 18, including Code Red, Party People and Nova Mas International. Jason Sukdeo, president of BHW Ltd, said for the best experience anyone interested in taking part must register with one of the bands. He said: “Bermuda Heroes Weekend 2018 promises to be a fun filled weekend for all who choose to participate from our opening event — Five Star Friday to J’Ouvert, the various promoters events, Raft Up and of course, Parade of Bands. We encourage those who haven’t decided to quickly check out Code Red, Party People and Nova Mas International to see which band fits your style. Band registrations close very soon so do not delay in order to avoid disappointment.” Code Red was band of the year last year, and is this year working with the theme “Beyond the Tropics”. The band is the only one to feature a local designer, with Kassie Bather on the team. Nova Mas International took home the Band of the Year prize in 2016 and boasts the widest range of costumes. Party People, who won the Band of the Year in 2015, will also take part. For more information, visit bermudaheroesweekend.com. Revelers dressed in their carnival best descend on the East End for the Bermuda Heroes’ Weekend Parade of Bands 2018. Sporting glittering costumes and colorful headdresses, thousands of partygoers danced their way from Number 2 Gate at the former US Naval Air Station to Clearwater Beach. More still head to St David’s to watch as the parade made its way through Southside, with a collection of bands providing musical entertainment. The Parade of Bands is the final event in the Bermuda Heroes Weekend (BHW) line-up, which kicks off with Five Star Friday at the National Sports Stadium. Other events include Pan in the Park, a raft-up at Shelly Bay and the Super Hero J’Ouvert, which gives revelers the chance to show off their stamina in a festive atmosphere at Bernard Park. 2018. No new named Bermuda National Heroes. 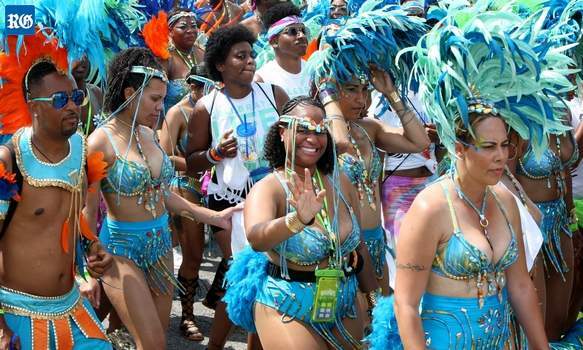 Instead, the Bermuda Government has announced it is sponsoring a 3-day carnival from Saturday, June 16 through Monday, June 18. 2017. No new named National Heroes. 2016. Sir John Swan was named Bermuda’s 2016 national hero for his lasting contributions to the island and her people. Sir John, Bermuda’s longest-serving premier said. “That recognition I consider to be something not just of myself but the many, many, many people who have lifted me on their shoulders and helped me to become what I am. I hope I can continue to be of service to my country in whatever capacity that allows me to look out for Bermuda’s best interests.” Michael Dunkley was grilled by journalists at a press conference announcing the news yesterday on why the public were not officially invited to submit nominations this year, to which he replied that the nomination process is open year-round. Asked how many members of the public nominated Sir John, the Premier responded that he was the only one and his recommendation was approved by the National Heroes Committee and then by Cabinet. Mr Dunkley described Sir John as a political luminary, a philanthropist and real estate entrepreneur whose impact is still felt today. One of his biggest contributions, he said, was in the negotiations of the US Bermuda Tax Convention Development, which launched the island’s insurance and reinsurance industries. Speaking at the press conference, Mr Dunkley said: “I am genuinely delighted to announce that on June 19 there will be an addition to the distinguished list to Bermuda’s national heroes — a man who has undoubtedly done so much for Bermuda and Bermudians. His contributions have significantly shaped Bermuda and its development. He has been recognized not only locally but internationally as well for his work. Known for his entrepreneurial mind, Sir John began his business career in real estate in 1962 when he founded the John W. Swan Agency. Through this venture, Sir John was able to help countless Bermudians secure their own homes because his company developed houses.” Mr Dunkley highlighted other noteworthy accomplishments made by Sir John throughout his career: that he was a founding member of the Bermuda Monetary Authority, a director of the Bermuda Chamber of Commerce and a director of the Bermuda Tourist Council. Mr Dunkley continued: “Sir John’s political career began back in 1972 and he spent 25 years of active and relentless service to the people of Bermuda. He demonstrated tremendous expertise during his tenure holding portfolios first as a Minister of Marine and Air Services, and Minister of Immigration and Home Affairs. He became the Premier of Bermuda in 1982 and served in that capacity for 13½ years. One of his most significant milestones during his political legacy was achieved in 1996, when he pioneered the negotiations of the US Bermuda Tax Convention to its completion. This agreement resulted in the development of the insurance and reinsurance industries and established the island as a major offshore financial centre, thus creating a foundation for the island’s stable economy and a well-developed infrastructure and regulatory framework. Sir John’s contributions have been profound; moreover he embodies the criteria that had been established under Bermuda’s National Heroes guidelines to help determine national heroes.” Sir John will become the first living person to be inducted as a national hero. He joined a distinguished list that includes Dame Lois Browne-Evans, Dr Pauulu Kamarakafego, Dr E.F. Gordon, Sir Henry Tucker, Sir Edward Richards, Gladys Morrell and Mary Prince. There were no other nominations made this year in a process that traditionally has solicited the nominations of the public. As for the unprecedented decision to nominate a living person as a Bermuda national hero, Mr Dunkley added: “In this case, Cabinet believes it is fully appropriate and I fully support it. National heroes should come from the ranks of the living and those who have moved on to a greater reward.” Mr Dunkley invited the public to the induction ceremony on the grounds of Camden on June 19 at 4pm. 2015. June 8. The Island’s National Heroes for 2015 were named — Gladys Morrell and Sir Edward “ET” Richards. Ms Morrell was the suffragette leader of Bermuda’s votes-for-women campaign who risked imprisonment for the cause. Sir Edward was Bermuda’s first black Premier, who took a powerful stand against segregation. Yesterday’s announcement from Patricia Gordon-Pamplin, the Minister of Community and Cultural Affairs, ended a fallow period for nominating National Heroes. The last to be put forward was Mary Prince, in 2012. Ms Gordon-Pamplin said it had been decided that Bermuda National Heroes would be posthumous designations. “Both Gladys Morrell and Sir Edward “ET” Richards have significantly shaped our country and her development,” she said. “Their contributions have been profound. Both individuals embodied many of the criteria that had been established under Bermuda’s National Heroes guidelines to help determine National Heroes.” Ms Gordon-Pamplin listed the criteria that the naming and recognition committee took into account before deciding to honour Ms Morrell and Sir Edward Richards. This included making a significant and lasting contribution to Bermuda, enriching the lives of others, and leaving a legacy that will stand the test of time and be relevant in the future. She said a National Hero would have contributed to the quality of life in Bermuda, been considered outstanding in their area of activity, had name recognition among the general public, was recognized by his or her profession, and was reflective of our cultural heritage and diversity. 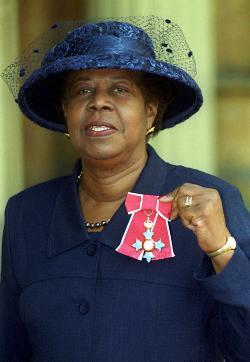 Ms Gordon-Pamplin said: “There is no doubt that both Gladys Morrell and Sir Edward “ET” Richards met most, if not all, of the criteria.” Last December, Wayne Scott, then Minister for Community, Culture and Sports, appointed a naming and recognition committee tasked with receiving and reviewing nominations from the public. “The committee did not include any politicians but were representatives of the community at large,” Ms Gordon-Pamplin said. The committee made recommendations to the Cabinet, who made the final selection. Ms Gordon-Pamplin said that Mrs Morrell was remembered as one of the primary forces advocating for women’s voting rights in Bermuda. “Mrs Morrell demonstrated tremendous courage, perseverance and fortitude in the face of serious challenges, mountains of obstacles and personal risk of imprisonment,” she added. “[She] shone a spotlight on a number of other issues in the community, including the very high infant mortality rate. She was a co-founder of the Bermuda Welfare Society; which established Bermuda’s district nursing system. She was also concerned about environmental issues; hence the Morrell Nature Reserve named in her honour. Sir Edward was instrumental in shaping and directing the political landscape as we know it today. [He] was one of the principal architects of the 1968 Bermuda Constitution. During his tenure as leader of the Government, major political changes occurred. The Constitution was further refined, resulting in the now familiar bodies and titles such as Cabinet, Senate, Ministers and Premier. Sir Edward had been a schoolteacher at the Berkeley Institute, was active in organizations such as the Pembroke Hamilton Club and the Warwick Workman’s Club, and previously worked as an assistant editor of the Recorder. Both of the National Heroes being inducted this year have helped to progress Bermuda to the country that we know today. We are indeed most grateful for their sacrifices, their commitment to right ‘wrongs’ and their fortitude.” This year’s National Heroes are to be inducted at 4pm on Sunday in King’s Square, St George. 2014. No named heroes or heroines named for 2014. 2014, June 7. National heroes were never meant to be named every year, according to Minister of Community, Culture and Sports Wayne Scott. His comments came in the House of Assembly following confirmation that no new heroes would be named when Bermuda celebrates National Heroes Day later this month. However, Mr Scott said the Ministry would work to reinstate a Naming and Recognition Committee, responsible for overseeing public nominations and naming future honorees. A total of five heroes have been honoured since the National Heroes Day was established but no new names have been added to the list since Mary Prince in 2012. Mr Scott said: "It was never intended to name a new National Hero each year. As I mentioned in the House during the 2014 Budget Debate we will not recognize a new National Hero in 2014. National Heroes Day was first celebrated on October 13, 2008, but the holiday was moved to the Queen's Birthday Holiday on 2009 after Government amended the Public Holidays Act. At that time, then-Minister of Culture Neletha Butterfield said a panel of five people, comprised of MPs and Senators, would decide who deserves the title of National Hero based on pre-selected criteria. According to the criteria, the candidates must have made a significant and lasting contribution to Bermuda; enriched the lives of others; contributed to the quality of life and destiny of Bermuda; been considered outstanding in their area of activity; have name recognition among the general population; been recognised by his or her profession or organization; been reflective of Bermudas cultural heritage or diversity; and must possess a legacy which will stand the test of time and have continued relevance in the future. 2012. June 18. 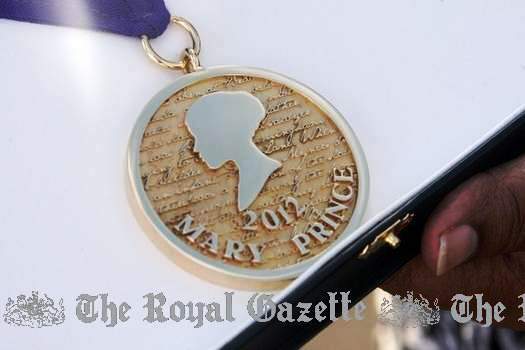 Slave and champion of the abolitionist movement, Mary Prince was recognized as Bermuda’s 2012 national hero. The public event includes music, dance, and spoken word performances. The History of Mary Prince. This edition was published February 1, 2001 by Penguin Classics. In 1831, it was the first narrative of a black woman to be published in Britain. It describes Prince's sufferings as a slave in Bermuda where she was born and flogged, Turks Island and Antigua, and her eventual arrival in London with her brutal owner Mr Wood in 1828. Prince escaped from him and sought assistance from the Anti-Slavery Society, where she dictated her remarkable story to Susanna Strickland (later Moodie). Mary Prince, the daughter of two slaves, was born in 1788 at Brackish Pond in Devonshire, now known as Devonshire Marsh. Her mother was owned by Charles Myners, but when Mr Myners died later that year, both Mary and her mother were sold to Captain Darrell, who gave Mary to his granddaughter Betsey Williams where she served as a playmate and nurse. At the age of 12, she was sold for 38 pounds to Captain John Ingham of Spanish Point, where she was repeatedly beaten and flogged by Mrs Ingham. After suffering permanent injuries to her back by her beatings she ran away, only be returned to her master by her father. In 1806, she was sold to a Mr Dill, who sent her to work in the salt pans in the Turks and Caicos for ten years. She returned to Bermuda in 1816 and was sold again in 1818 to John Adams Wood for $300 and sent to Antigua to work as a slave. In Antigua, she met and married Daniel James, a former slave who bought his freedom, but when her master heard about the nuptials she was severely beaten. In 1828, Wood and his family took Mary to London to work as a servant, but Mary again ran away and met Thomas Pringle, an abolitionist writer and secretary to the Anti-Slavery Society. She was encouraged to write her memoirs, and in 1931 The History of Mary Prince was published, detailing her life as a slave in Bermuda and the British Caribbean. Her story was the first account of the life of a black woman to be published in the United Kingdom, and helped to galvanize the anti-slavery movement. 2011 Bermudian National Heroes were honored on Sunday, June 19, 2011 at the Show Ring of the Botanical Gardens. They were Dr Edgar Fitzgerald Gordon, Sir Henry James Tucker and Dr Roosevelt Brown. Sir Henry Tucker - see http://en.wikipedia.org/wiki/Henry_Tucker_(Bermudian_politician) - formed and led the United Bermuda Party (UBP) into Government and was Premier of Bermuda for many years. Dr. Edgar Fitzgerald Gordon formed the Bermuda Industrial Union in 1942 and led it for many years, through a very controversial history. Three books have been written about him by Bermudian authors. Roosevelt Brown became known to most in Bermuda as the architect of Universal Adult Suffrage in Bermuda. He was a former PLP MP and Progressive Labour Party Education Officer. He wrote Me One, his autobiography under the name of Pauulu Roosevelt Osiris Nelson Browne Kamarakafego. Wesley Leroy Tucker was another leader in the adult suffrage movement. Entertainment included performances specifically in honour of these three new National Heroes. There was involvement from uniformed youth groups, schools and the Bermuda Regiment. 2010. For the third consecutive year the late Dame Lois Browne Evans (see photo below) was Bermuda's Public Hero. 2009. Government decided to move National Heroes Day to June, but instead of holding it on the second Monday of June when the Queen's Birthday used to be observed as a Bermuda Public Holiday they chose the third Monday of June. October 13, 2008. First such public holiday under this name, for local heroes and heroines. 2009 and 2008 honored Dame Lois Browne Evans, who died in 2007. She produced many firsts including becoming Bermuda's first female lawyer, the first black woman elected to Parliament, the first female Attorney General, first leader of the Opposition and a fiercely outspoken leading member of the Progressive Labour Party (PLP) all her life. Not only did she break Bermuda's records she also became the first female Opposition leader in the Commonwealth. Future national heroes could include former slave Mary Prince, who was the first black woman to publish a book about her experience. The book was significant in the UK abolition movement. In the run up to the 2007 election then-Premier Ewart Brown announced at a PLP rally his Government would set aside a day to honour Dame Lois. That September it was announced May 24, Bermuda Day, would become National Heroes Day and Dame Lois would be the first recipient. In 2008 Government then moved it to October and axed what until then had been the official June Queen's Birthday public holiday. The date coincided with the first day of the PGA Grand Slam. That too was opposed by the public, some who complained of missing a holiday during the summer months while others said it was disrespectful towards Bermuda's monarch. However, many Bermudians have expressed the desire to continue to observe it and a Queen's Birthday Parade is still held on the previous Saturday. This first day of the two-day Cup Match holiday is named to commemorate the most important modern events in Bermuda's 400+ year-old history. They are held by tradition on the two consecutive days of (a) Emancipation Day (see below) and Somers Day. These two days are, by Bermuda statute, always on the Thursday preceding the first Monday in August and the Friday preceding the first Monday in August. For many Bermudians, locals and visitors who do not have to work on a Saturday or Sunday this amounts to a 4-day public holiday long weekend. This Public Holiday commemorates the uniquely emotional, cultural, historic and racial day of August 1, 1834 when under British laws that then extended to all British colonies, dominions and islands, with Britons themselves in the UK having been freed since 1772, the Slavery Abolition Act was enacted locally under British legislative pressure, to free the Island's slaves. In Bermuda, 4.000 persons, until then slaves, became free. They and other former slaves who had already been freed from that moment on, gained equal legal status to whites. That momentous day is mostly celebrated with the annual cricket Cup Match classic between St. George's and Somerset, two prominent local cricket teams. It follows a tradition that first started on August 8, 1872. The Bermuda Cricket Club had earlier been founded in St. George's ( in 1845) and played its first cricket game against the-then British Army garrison in Bermuda. Long before cricket became the hugely popular sport it is today, a match played between the fleet team of the resident Royal Navy base and the British Army garrison regimental team was a major event in the social calendar of the Town of St. George. This sport was first brought to Bermuda in the 1840s by British Army soldiers stationed here. Cricket is a British game that originated in England centuries ago. It is not unique to Bermuda. It is popular throughout the British Commonwealth of Nations. Its local season is from late April to late September. In 1872, British cricket thus arrived for local civilians. For many years until 1902, the unofficial festive game was between two fraternal lodges on opposite sides of Bermuda - in Somerset in the west end and St. George's on the east end. The festive game began officially in July 1902 between the Somerset Cricket Club in the west end and the St. George's Cricket Club in the east end. Venues of the game change yearly between both clubs. Most recent (2015) winner is the Somerset Cricket Club. Today, among the cricket-loving nations and territories of the world, only in Bermuda does the whole of Bermuda grind to a complete halt for two days every summer to turn its attention to a cricket game. On Cup Match days, many Bermudians either go physically to the game or listen to it on the radio. Because the popularity of the festive annual game caused continued absences from employment the 2-day public holiday was first introduced in 1947 and has been in effect ever since. Since 1999, a celebration of emancipation is now part of the ritual of the first day of Cup Match, formally renamed Emancipation Day. It is a very busy time for camping and picnicking by Bermudians and locals at public (Government) parks or beaches. The designated campgrounds are Ferry Point, Coney Island and Chaplin Bay but all public parks and beaches can be invaded by persons pitching tents from two days beforehand and until the Sunday evening after Cup Match. It can be disconcerting for tourists who hope in vain for deserted public beaches and are not used to seeing campers pitching tents so close to public beaches. They would not be allowed in their own countries. Nor would the trash so many locals leave near their tents. 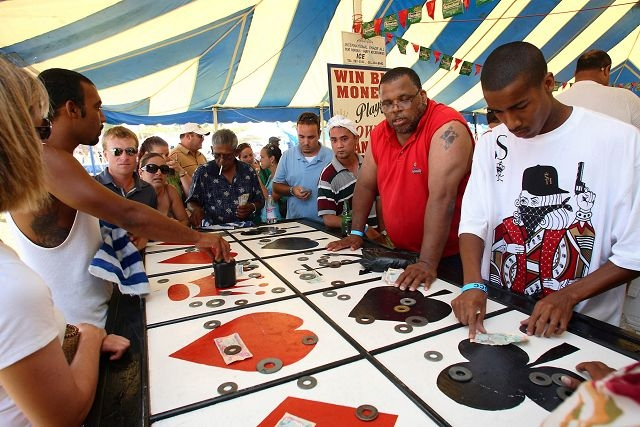 Whichever team hosts the annual game accepts tenders for the gambling game of Crown and Anchor (see above), one of the many "concessionary" events, open gambling, operators of which pay Government a hefty license fee. It is also an occasion for off-beat mid-summer peculiarities that include awarding a winning batsman with tax-free cash; the wearing of outlandish fashions, much socializing, bands and musical groups participating, a carnival atmosphere complete with calypso, reggae, soca, rap and other music. The most avid fans stake out a place in a stand on the cricket field long before the match starts at 10 am. They come well prepared with umbrellas for shade and picnic hampers stocked with a day's supply of food and drink. Referred to in history as the Father of Bermuda, Admiral Sir George Somers has the second day, Somers Day, of this 2-day public holiday named in his honor for his discovery of Bermuda which led to its settlement in 1609. For 2015 it was a very special 406th Anniversary commemoration of the single most important day in Bermuda's history. 2019. January 17. A former premier is backing a call to remove the man who claimed Bermuda for Britain from the annual Cup Match holiday and replace him with a former slave who became a hero of the abolitionist movement. Dame Jennifer Smith is supporting a proposal by Citizens Uprooting Racism in Bermuda to drop Admiral Sir George Somers, who ran aground on the island in 1609 and started permanent colonization, and honour Mary Prince, a Bermudian born into slavery whose story was published in Britain and helped fuel revulsion for the trade in human beings. Dame Jennifer, who led the Progressive Labour Party to its first election victory in 1998, is a member of Curb and said that Bermuda was “now ready for a Mary Prince Day”. She added: “Unfortunately, many do not know her story. A day would help to educate all.” Cup Match — a two-day celebration of the abolition of slavery in the British Empire in 1834 — had its roots in an 1835 East versus West cricket match and picnic organized by Friendly Societies. It was agreed by the organisers in 1901 to buy a cup to be presented to the winners of the cricket match and the first Cup Match was played in 1902. The two days gained official recognition in 1947 and the holiday was set on the Thursday and Friday closest to August 1. The first day of the holiday was named Cup Match and the second was used to commemorate Sir George. Cup Match Day was renamed Emancipation Day in 1999 and continued the tradition of celebrating the end of slavery and Somers Day continued unchanged. The move came after Dame Jennifer introduced legislation to the House of Assembly to replace Cup Match Day with Emancipation Day, which passed the House, but was rejected by the Senate. MPs later agreed to retain Cup Match as the official name after Dame Jennifer tabled a government amendment allowing Cup Match to remain a legal term, but changing Cup Match Day to Emancipation Day. Curb called for Mary Prince and her work to be marked on the second day of the holiday earlier this month and has included the proposal in its 2019 racial justice platform. John Barritt, a former United Bermuda Party and One Bermuda Alliance MP, was the UBP spokesman for legislative affairs in the 1999 debate in the House. Mr Barritt, whose 1999 amendment to keep the holiday’s official name as Cup Match was rejected by the House, threw his support behind Curb’s bid to recognize Mary Prince. But he said Somers Day should be retained in some form to mark the arrival of Sir George and the Sea Venture, which was grounded off Bermuda on July 28, 1609 after a storm. Mr Barritt added: “I firmly believe that the two holidays should continue to be known together as the Cup Match holiday. It is in so many respects quintessentially Bermudian. Considering the origin and history of Cup Match, I think it right and proper, and reasonable too, to celebrate heroes like Mary Prince, and for obvious reasons. Frankly, I think it would be appropriate to remember and acknowledge others who struggled in the fight for emancipation.” Mr Barritt added: “This presents the opportunity to extract Somers Day from the Cup Match holiday, and to celebrate the day of colonization annually on the actual date. It could become an event of some celebration in the St George’s calendar with a service at St Peter’s and a ceremony of some sort at Somers Garden.” He said it “may not rival the Peppercorn Ceremony at the outset, but have some impact, and be of strong interest to our visitors as well”. Christopher Famous, a PLP backbencher, said: “There is no way that someone who had nothing to do with emancipation should be included with an emancipation celebration. I’m not going to denigrate George Somers, but the reality is that he was anything but emancipated.” He said he had no objection to Somers Day being moved to July 28. But he pointed out that, as Cup Match has no fixed dates, part of the holiday could sometimes fall on July 28. A spokesman for the Ministry of Labour, Community Affairs and Sports said that it looked forward to reviewing Curb’s platform and “considering their recommendations to bring about greater equity and a healthier Bermuda for all”. It originally gave workers the chance to campaign for better working conditions or pay. The day is now part of a long weekend for many Bermudians, Americans, Canadians, etc. The Bermuda Industrial Union and other unions sponsor speeches, festivities, road races and games on this day. It took on additional importance after the victory of the labor government in Bermuda in November 1998 and the heavy aggressive unionization since the 1940s of most of Bermuda. 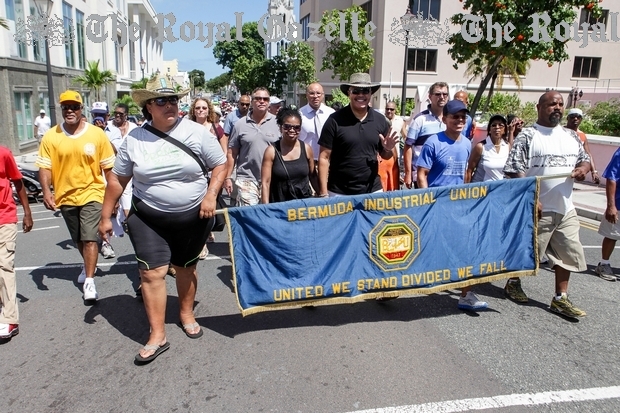 The Labour Day holiday was created after the 1981 General Strike, when Bermuda Industrial Union members downed tools in a fight for higher wages for public and private-sector workers. The first Labour Day holiday was held in September 1982. It's also a convenient excuse for a three-day weekend. The 2013, 2014, 2016 and 2017 events in particular, when the previous government was in power, were laced with political anti-government union speeches about the latter's new airport policy, immigration policies to finally give Bermuda status or citizenship to long-deserving long-time permanent residents, and more. 2018. June 2. Bermuda’s Portuguese community was “ecstatic” after it was announced yesterday that a public holiday next year will mark the 170th anniversary of the arrival of the first immigrants from Madeira. Andrea Moniz-DeSouza, the Honorary Portuguese Consul, was in Parliament to hear David Burt declare the commemorations for November 4, 2019. Ms Moniz-DeSouza said: “I am stunned, in a very pleasant way. Like any other minority in Bermuda, we are always looking to be acknowledged and accepted. Being acknowledged and having the Government thank us for the contribution to the island of many generations of Portuguese people makes us very happy.” She said: “It comes at an important time. After the election, you couldn’t help but feel we were a bit divided. I appreciate what the Premier is trying to do and we are hoping this is only the beginning.” Bermuda’s links to Portugal date back at least to 1543, a year marked in an inscription on a rock near Spittal Pond made by shipwrecked Portuguese sailors. Next year’s event will commemorate the November 1849 arrival of Portuguese people from the island of Madeira aboard the Golden Rule. Local agriculture had gone into decline and Bermuda had to find agricultural workers in the wake of the abolition of slavery in 1834. The Premier told MPs that later Portuguese immigrants came mostly from the Azores. He said: “From the original families and those subsequent immigrations, Portuguese culture has become a part of Bermuda’s cultural fabric.” He said that fostering understanding of Bermuda’s racial relationships had been part of the Progressive Labour Party’s 2017 electoral platform. Mr Burt added: “This Government is a government for everyone, and we are determined to forge a society where our differences are celebrated. We must have meaningful inclusion if we are to chart a future of success for our children and future generations. This is consistent with the ideals of the founders of the PLP who, when Portuguese people in this country did not have a voice, spoke on their behalf, never more powerfully than on the issue of long-term residency.” A series of events to accompany the anniversary might include an official visit from representatives of the Azores and Madeira. Mr Burt added the celebration could also include a sporting event with a visiting team and the installation of a commemorative plaque. (A Public Holiday on the Monday as Remembrance Day 2018 falls on a Sunday). Every church has Christmas Day services. Although Bermuda is regarded as British in so many ways by the 95 percent of visitors who are from the USA, Britons and Canadians regard it as more American than British. Santa Claus, not Father Christmas or Saint Nicholas (the patron saint of Russia), is the term used by nearly everyone locally. In cuisine, religions, customs, music and celebrations, Bermuda has Yuletide traditions from the United Kingdom, United States and Canada. Christmas Greetings come annually from the Governor, Premier, Leader of the Opposition, Bishop of Bermuda, Bishop of Hamilton in Bermuda and other dignitaries. Many individuals and stores publish theirs. Local Christmas events and cable TV shows are common. Christmas music events are numerous. Churches offer special Nativity tidings. Christmas dinners for families, friends and extended families are often merry and extravagant. Local seasonal foods like cassava pie are made in quantity. They are usually served with (imported) turkey. Birds such as turkey - goose in England until the dawn of the 20th century - are no longer stuffed with "farce" as they were in the Middle Ages in England. There are ornaments, trees, pantomime and the famous The Royal Gazette short story writing contest (see below). For many years there was also a Festival of Lights. 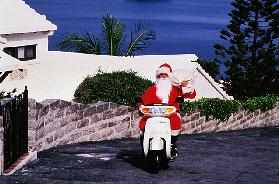 It was discontinued in 2008 as a lovely Christmas-time tradition due to economic conditions and the high price of fuel. Until then it was sponsored for many years by The Bermuda Electric Light Company, the only electricity service, which awarded prizes. Some Bermuda homes were dazzling. The annual Dr Stanley Ratteray Memorial Christmas Short Story Contest. For over 55 years, Bermuda's national daily newspaper The Royal Gazette has an annual, very popular, Christmas Short Story, now renamed The Dr Stanley Ratteray Memorial Short Story, in honour of Bermudian cultural icon the late Dr Stanley Ratteray, a dentist by profession and Bermuda's first Education Minister. Renowned for his passion for the arts and culture in Bermuda, he was one of the founders of the Bermuda Arts Council, the Bermuda National Trust and the Menuhin Foundation and served as chairman of the Bermuda Musical and Dramatic Society for several years. The annual writing, not digitized, competition is a longstanding seasonal tradition, one which dates back more than 50 years now. It has encouraged literally thousands of Bermuda residents to exercise their creativity, imagination and writing skills around the infinitely flexible subject of a Bermuda Christmas. Every year it produces some first-rate entries covering the widest imaginable range of styles, genres and themes. It is open to all Bermudians or current residents of Bermuda and stories may be fiction or non-fiction. The annual deadline is by the first week in December. Entries must be typed and should not exceed 1,500 words. Cash prizes are presented in three categories, under -13s, under-18s and adults. There is a first prize for winners, plus those with exceptional promise regardless of category and certificates for honorable mentions. Winning entries are published in the Royal Gazette's printed Christmas Eve Greetings Supplement. Each year the judges look for vivid local Christmas themes and local references, content, correct spelling, correct grammar and punctuation. Judges prefer entries from students to be free of violence as Christmas is a time of peace. Manuscripts must be submitted to The Royal Gazette clearly marked, “Christmas Short Story Contest”. Manuscripts may be submitted by hand in the drop-off box in the lobby of The Royal Gazette, by mail to "Christmas Short Story Contest", The Royal Gazette, PO Box HM1025, Hamilton HM DX, or by e-mail to the specific email address given. If e-mailed, attach your contact details to the actual story; don’t just put them in the body of the e-mail. The full name, address and telephone number of the author must always be given, irrespective of how sent. Teachers should make sure the name, age of the student and contact number of their parents is included on every entry. Judges may contact the winners during late evening when schools are closed. The e-mail address of parents would also be helpful. These details will be kept confidential. Pen names will not be accepted. Please, no poetry. Pen names will not be accepted. Stories received after the deadline are not considered. A panel of judges decide the winning entries. Due to the high volume of submissions, The Royal Gazette staff cannot respond to telephone or e-mail inquiries once an entry is submitted. The Royal Gazette reserves the right to publish any or all of the stories submitted. Last was December 2015, next is December 2018. 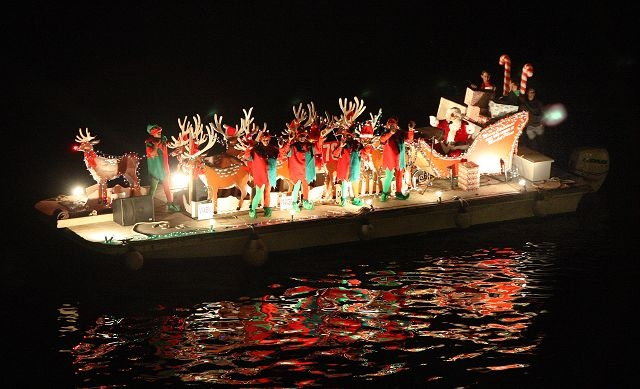 The Island's top spectator event of the year, the Christmas Boat Parade, treats 20,000 viewers to a stunning illuminated boats and fireworks display. Some 50 boats participate in the biennial parade. 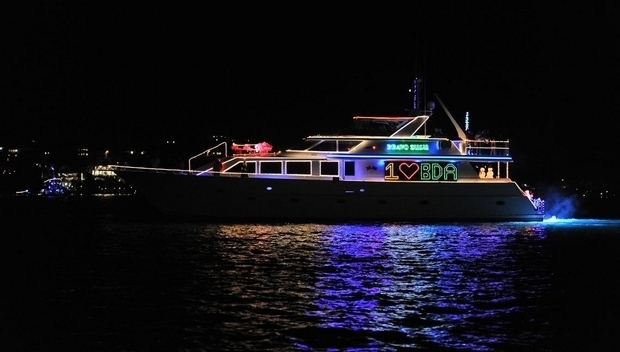 It is amazing how creative they get, owners and crew go way out in decorating their boats. Front Street and Harbour Road teem with spectators. At 8.30pm, pyrotechnics launched from White's Island light up the skies. 19 categories of boats ensure everybody wins something for taking part. In top place are Best Commercial boat, Best Sailboat, Best Non-profit, Best Powerboat under 25ft and over 25 feet, Best Bermuda Themed, Best Community Message, Most Original, Cedar, Best Traditional Christmas, Best Contemporary, Best Crew Costumes, Most Confusing, Best Use of Lights, Best Music, Pink Category, Most Fun to be Aboard, Children's Choice. Bakewell tarts (in Britain eaten year-round). So-called because they originated in the Derbyshire, UK, township of Bakewell. Brandy butter. Home-made with ingredients including butter and brandy. Gingerbread, originally from Germany until 1812 when Jacob & Wilhelm Grimm published their two volumes of German folk tales and now popular world-wide including in rest of Europe, Britain and Bermuda, both seasonally and year-round. Mince pies - see above - (shrid pies in Elizabethan times in England because they contained shredded meat suet and the three spices of cloves, cinnamon and nutmeg). The Elizabethans of England adored spiced fruit. British cookery writers of the 19th century made sure their audiences carried on the tradition. Mrs. Beeton's mincemeat recipe of 1861 was an instant runaway success and is still used today. Nowadays, mince pies involve three large lemons and apples, a pound each of raisins, currants and suet, two pounds of sugar, candied peel and a teacupful of brandy. Put the mincemeat in a stone jar with a closely fitting lid and in a fortnight in will be ready for use. Sherry trifle, with sherry added. Yuletide or Yule Logs (once a Scandinavian, then British, custom). Hark! The Herald Angels Sing. Mendelssohn. See http://www.youtube.com/watch?v=Xv0uYxKMwQ4. Sung by Julie Andrews. It Came Upon The Midnight Clear. H. W. Parker. See http://www.youtube.com/watch?v=LwBajJ3ZFVohttp://www.youtube.com/watch?v=LwBajJ3ZFVo..Julie Andrews. Little Drummer Boy. Harry Simeon. Hear it at http://www.youtube.com/watch?v=hxzJiYlSHfQ . Sung by the Harry Simeon Chorale. Mille Cherubini in Coro. Schubert-Melichar. Hear it at http://www.youtube.com/watch?v=MrJihqdhoBc. Sung by Luciano Pararotti. Oh Holy Night. Adolphe Adam. Hear it at http://www.youtube.com/watch?v=W-RAnkH8Jxc. Sung by Andy Williams. Panis Angelicus. Ceasare Franck. Hear it at http://www.youtube.com/watch?v=QUuJ0LCeb_s. Sung by The Priests. Silent Night (Stille Nacht). Gruber. Hear it at http://www.youtube.com/watch?v=_ZGUofVnyak. Sung by the Vienna Boys Choir. Note these wonderful, festive, typically British table side ornaments, also seen in Canada but hardly at all in the USA. All are imported to Bermuda from England. They pop with a snap when opened by two people and have some small enclosure, plus a festive, colored paper hat. They were invented in the mid 1840s by London pastry cook Tom Smith after seeing the French custom of wrapping sweets (candies) in twists of colored paper. They became popular when Smith put a snapper inside which made them go bang when pulled. There is still a Tom Smith brand of Christmas crackers. There are other manufacturers too. Very much a part of the British and Bermudian Christmas tradition. It is always a sell-out. Based on the UK pantomime tradition, it has a plot, jokes, political asides, costumes galore and fun. As British as roast beef and Yorkshire pudding, the annual slapstick and interactive pantomime production has become a longstanding tradition in Bermuda as well. Princess Charlotte of Mecklenburg-Strelitz, who married King George III in 1761, is reputed to have been the first person in England to decorate small fir trees at Christmas-time with lit tapers, almonds, raisins and wax dolls. A keen botanist and garden-maker, Charlotte rekindled the Yuletide customs of her own childhood to entertain and amuse her 13 surviving children. Queen Victoria, Charlotte's niece, was already familiar with the tradition when she married Prince Albert. The prince remarked that their children's "delight in the Christmas trees is not less than ours used to be". Prince Albert liked Christmas trees so much that he imported many thousands from his native Saxe-Coburg, to transform Royal palaces in Britain. Actually, the European custom of bringing Yuletide trees indoors is a good deal older than the Victorian age, connected as it is to the pagan feast of Saturn in the dark days leading to the winter solstice. Before central heating was the norm, fir trees and wreaths brought indoors could survive through the festive season. Now, there is a huge array of spruces, pines and firs available to the discerning tree buyer. After buying, keep the fir tree outdoors for as long as possible because the cold and damp air will help preserve the foliage, and stand the bottom in some water. Trees bundled in string or netting can stay wrapped until brought indoors, to reduce the moisture loss from the leaves. Make sure they are watered well to ensure they stay looking good. It is amazing how much water a small cut tree will absorb each day. In Bermuda, pruce and other Christmas trees are shipped in, from Canada, Vermont and North Carolina, USA. Most local importers have made arrangements to have their Christmas trees pre-inspected by local environment authorities - in this case the Plant Protection Laboratory of the Bermuda Government - in their country of origin. They are inspected because in 1991 a new pest, the pine needle scale (Chionaspis pinifoliae) was discovered on trees shipped to Bermuda from Canada. It is a good policy but has added to the cost of trees. They are cut and shipped in late November and arrive from the first week in December onwards. To test for freshness when being considered for purchase, bend one of the needles. If it snaps cleanly when bent between your fingers, the tree is fresh. If it bends without snapping, the tree is not fresh and will lose its needles quickly no matter how much it is watered. Over 98% of all Christmas trees imported into Bermuda (none are grown locally) are firs. There are three types of trees from which to select. The vast majority are Balsam firs (Abies balsamea). The Fraser fir (Abies fraseri) are also popular, mostly from North Carolina. The Douglas fir (Psuedosuga menziesii) is not related to the true firs. Faux trees - artificial - can also be bought. Christmas trees are always imported from Canada or the USA. Prices are over $100 for a seven feet or higher Fraser fir or Quebec balsam. A public holiday in Bermuda, as in Britain. It originates from the old days in England when, to compensate their servants for working extra hard in the preparation of extravagant, all day Christmas Day feasts, members of the aristocracy and gentry were inclined to reward the former with "boxes" of game from their estates, or other goodies, as well as the day off. In more recent times, it became the day for small gifts for those who deliver the mail and newspapers. Locally, Boxing Day is an occasion for giving to the less fortunate and finishing off the local cassava pie, turkey and other Christmas eats, family gatherings, social drinking and relaxing. Also, the Gombeys dance. 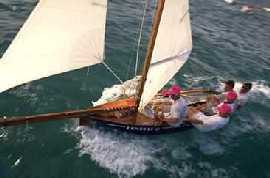 They have been part of Bermudian life since the eighteenth century. The word Gombey comes from the African Bantu language and means both rhythm and drum. Noteworthy and quoteworthy are the books "The Bermuda Gombey; Bermuda's Unique Dance Heritage" by Louise A. Jackson and "Bermuda: Traditions and Tastes" by Judith Watson. There are also Boxing Day sporting events.